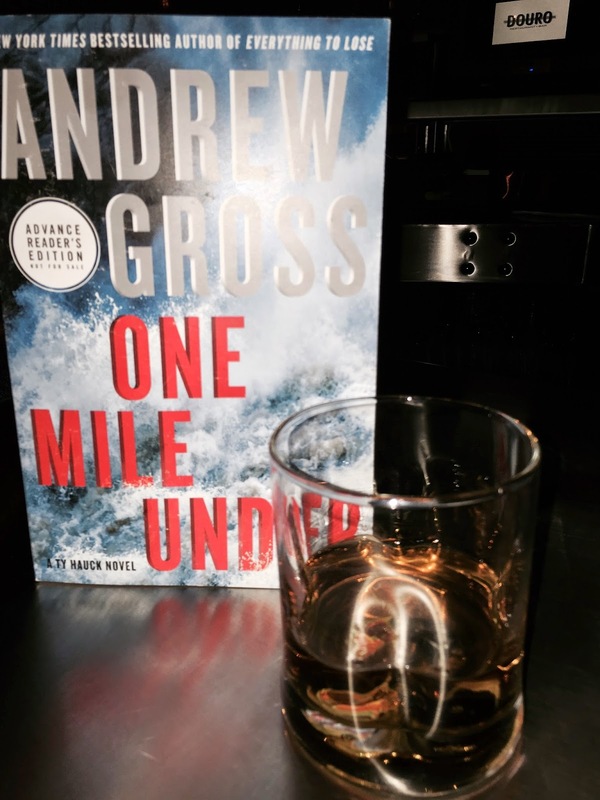 Today on Drinks with Reads, bestselling author Andrew Gross joins us to match his new book, One Mile Under, with the perfect drink - bourbon straight up. Ty Hauck, detective-turned-global-troubleshooter, is a Greenwich guy, now partner in a worldwide security firm. He's a bourbon drinker, partial to Woodford Reserve. Usually at his favorite place in town, Douro, on the avenue. "One Mile Under is a thrilling exploration of one of the most controversial issues of our time: fracking and the damage it leaves behind. Gross fans are sure to embrace the return of Ty Hauck in this modern-day Western thriller where local townsfolk who thought they had found their hero turn to another to fight against a rogue energy company that uses military-style tactics to enforce their plans." Andrew has sent us the beginning of One Mile Under. Enjoy! Dani Whalen noticed the first slivers of whitewater ahead on the roaring Fork River, the current picking up. Dani was a whitewater guide along the stretch of the river known as Slaughterhouse Falls, outside aspen, Colorado. and by “fun,” she meant navigating the series of eight Class Three and Four rapids that were the main draw of the river’s four-mile run. Not that there was much real danger. They were all well- protected, of course, and Dani had done this run hundreds of times with barely a hitch. But the first sign of froth rising usually did engender a blanched face or two—Class Fours had a way of doing that to first-timers. But Dani knew exactly how to get them going as well. On any morning, she could point to an eagle soaring above the tree line, or a long-branch elk with its doe along the river’s edge; or a silver trout streaking underneath them in the current, which was definitely picking up now. That’s why she loved what she did. That, and the triumphant yelps and whoops that were always a part of being shot out of Crossbow, icy water cascading all over you. But it was the thrill of whitewater that was truly in her blood. She had been a geology major back in college, back east at Bowdoin in Maine, and she could easily have been in med school or doing fourteen-hour days on Wall Street like a lot of her friends, probably making more in one month than what she pulled in in a season out here. But this river was in her blood. She’d grown up on it. She knew most anyone who had anything to do with it. After college she came back for the summer, and started earning money doing for work what she’d always done for love, and entering a few competitions. She knew she wasn’t exactly building a real life for herself remaining out here—guiding in the summer, teaching snowboarding to the youngsters in the winter—certainly not a career. Her dad was an orthopedic surgeon, at Brigham and Women’s Hospital back in Boston, but he was in Chile right now on a teaching fellowship. Her older sister, aggie, was in med school in Austin, and her younger brother, rick, the real brain of the family, was studying 3-D graphic engineering at Stanford. 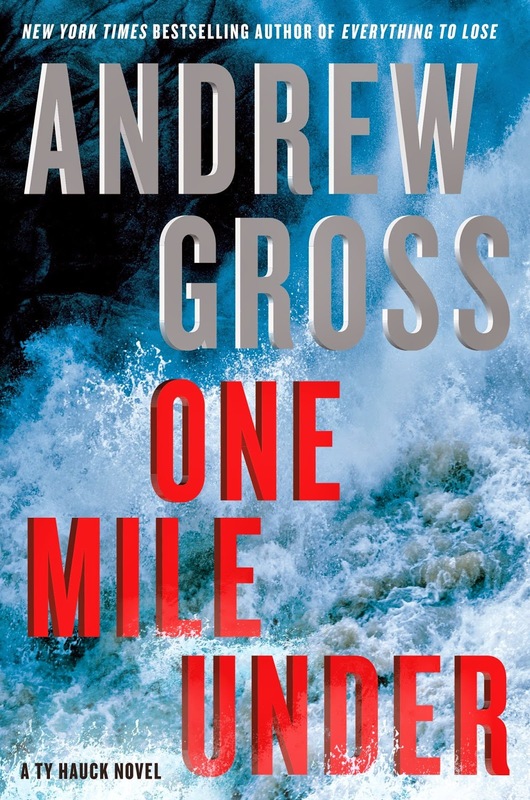 I have read other Andrew Gross' books. Looking forward to this one.